the files are thick with reports and diagrams, notes and questions. there are many medical words in the files, blunt words like infection and gangrene, necrosis and debridement. but there is a strange beauty for each file contains pastel sketches of the boys, with a fading purple or blue background. there is the sketch of before: a hole in the centre of a face and a jaw bone exposed, teeth floating. 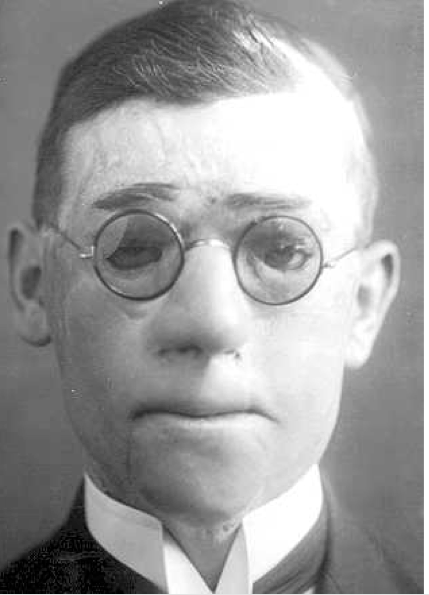 then there is the sketch of after: a scarred cheek and chin, a glass eye prosthetic, and a tin mask with empty eyeglasses. i honour the boys in my writing.